This pretty bracelet is easy to make using our step-by-step instructions. 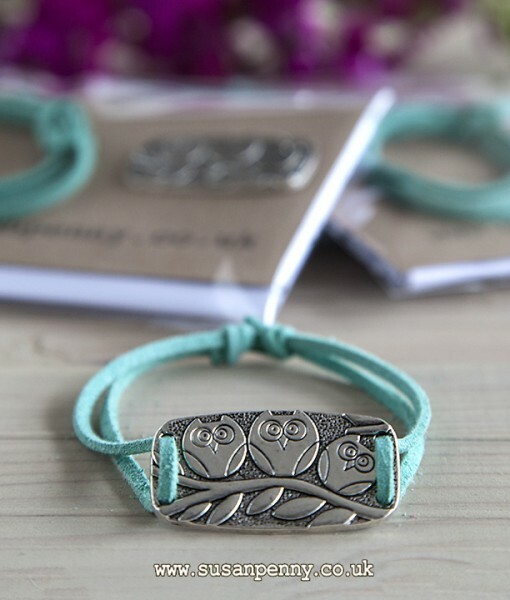 The silver tone owl charm needs to be attached to the faux suede cord supplied, and then made into this Kitsey bracelet. 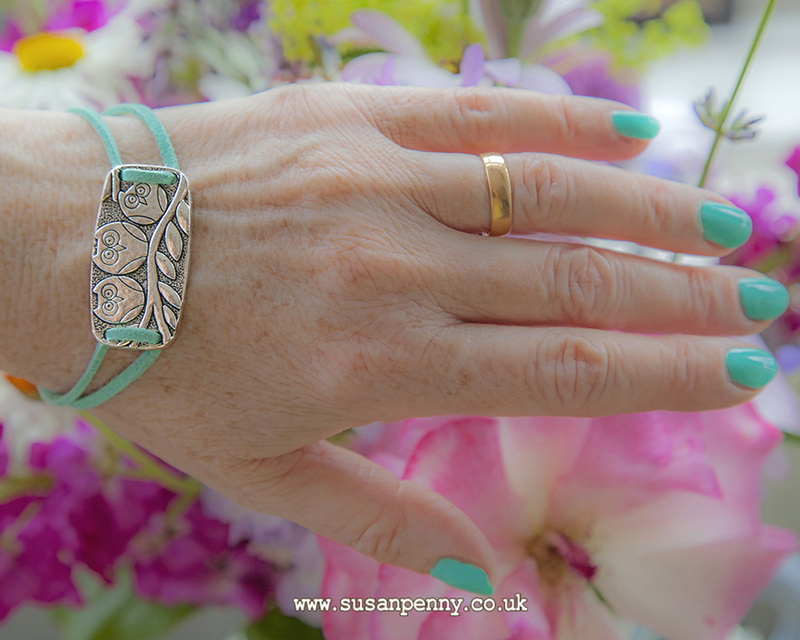 This pretty bracelet is easy to make using our step-by-step instructions. 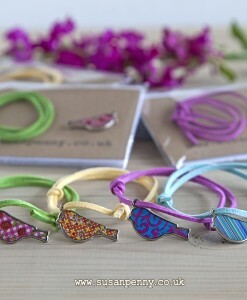 The silver tone owl charm needs to be attached to the faux suede cord supplied, and then made into this Kitsey bracelet. 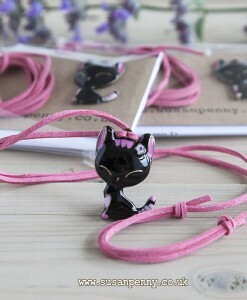 The charm is 21x39mm approx, and the cord approximately 46cm or 18inches – this will fit either an adult or a child. We want you to enjoy making this kit, and so we have prepared the easy-to-follow instructions and diagrams with care. Please contact me if you have any trouble making up the bracelet and I will try to help you. You will receive in your kit: EASY TO FOLLOW instructions with DIAGRAMS, an owl charm, and a length of faux suede. These make great party favour gifts for adults and children, we can supply the bracelet kits in larger quantity packs if required. Please send a message if you would like a different quantity as we would be very happy to help.